Posted on Wednesday, August 1st, 2012 at 1:17 am by Ty Anderson. The power of momentum is underrated. If Momentum were an element, it would have a force similar to two Hs and 1 O. Also, if it were an element, its symbol would be MOJO. It would reside between at the end of the table as it is (I’m moving away from theoretic now and discussing MOJO as a reality) one of the most unpredictable elements. MOJO can be lost in a moment’s notice and take years to see it return. But as quickly as it is lost, it can return. And when it does return, it can return in a big, big way. I know I have said it a few times here in the Office Newswire but I’ll say it again… I believe Microsoft’s MOJO has returned and that it is big. In fact, it is growing as we see from yesterday’s news about Outlook.com and the over 1,000,000 signups on its first day. It’s a great time for Office enthusiasts. I’m hoping Outlook.com allows users to purchase apps from an app store. That would rock. 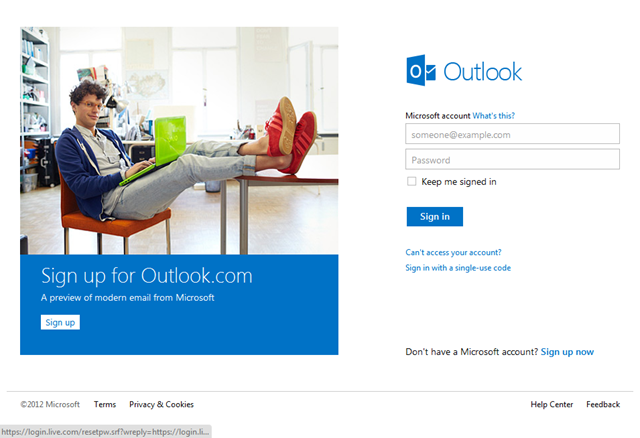 Introducing Outlook.com – Modern email for the next billion mailboxes :: Hotmail is finally dead. In its place is a new webmail app available at Outlook.com. It’s slick! I signed up already because I have an addiction to email addresses. I also needed to make some screen shots for today’s newswire. 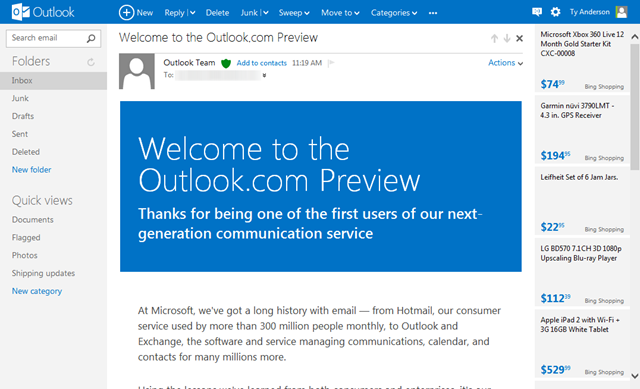 Want to know more about Outlook.com? See the next section – All about Outlook.com. What is Office 365 ProPlus Preview? :: Just a little combining of Office 365 Newswire content for today. This is a good explanation the distinction that is Click-to-Run. Why we need a SharePoint 2013 marketplace :: To better reach our customers and give MSFT a cut… that’s why! I hope this works. The newest Microsoft Office 365 family member: Project Online :: I admit I have never been a fan of Microsoft Project. I routinely advise clients against it unless they have seriously complex project management needs. I do this because I have installed and configured it for clients. I have multiple scars and barely lived to tell the tale. I think the idea of Project Online is a major improvement simply because it does not require me to install it. One-click LinkedIn integration with the new Office :: LinkedIn is to business social networking as Facebook is to all other social networking. But, LinkedIn is growing in popularity while Facebook is tanking… hard. This simple integration with Outlook Social Connector might just make the Outlook Social Connector worth using. We’ll see. Outlook.com caught us all by surprise. How the heck is Microsoft preventing leaks these days? It’s impressive. And, it’s fun to be surprised. In his Office 2013 announcement two weeks ago, Mr. Ballmer stated that they had a lot more news to follow. He wasn’t lying. Here is a smattering of articles that will tell you all there is to know at the moment. Building apps for SharePoint and Office 365 :: The money quote is, "… the new model is definitely our big bet in this release." If you want to ride in Microsoft’s wake, it’s best to track where they are placing their bets. The app store is a major bet. Start building. View all shortcut keys in Microsoft "Napa" Office 365 Development Tools :: If you are checking out Napa, this might prove useful to you. Windows Azure meets Microsoft Office 365 :: I don’t know if you know this but… Azure is a big deal. With Office 365, you can develop workflow apps and host them in Azure. This article explains how to do it. When is an App Not an App? When It’s in SharePoint 2013 :: In SharePoint 2013, everything is an app. It’s MSFT’s way of simplifying things for the user. But it isn’t so simple… is it? Get started with Access 2013 Web Apps :: Have I told you about my love affair with Microsoft Access? I think everyone talks bad about her because she is so pretty. Anyway, in the last 10 years, Access has gone through an identity crisis. I think this idea of using Access to build SharePoint web apps is super duper interesting. Exchange Server for developers :: Often overlooked but never forgotten, Exchange is part of Office and continues to have what Microsoft people call a “developer story”. It is a story with few chapters… until now. Outlook Web Apps anyone?